The mid to late ’90s were an interesting time for 3D platformers. 2D icons of the genre were still incredibly prolific and popular, and the third dimension was still fairly new. Super Mario 64 showcased some of the best work the genre saw in the ’90s period, but games like Crash Bandicoot sought to do something different with a bit more attitude. 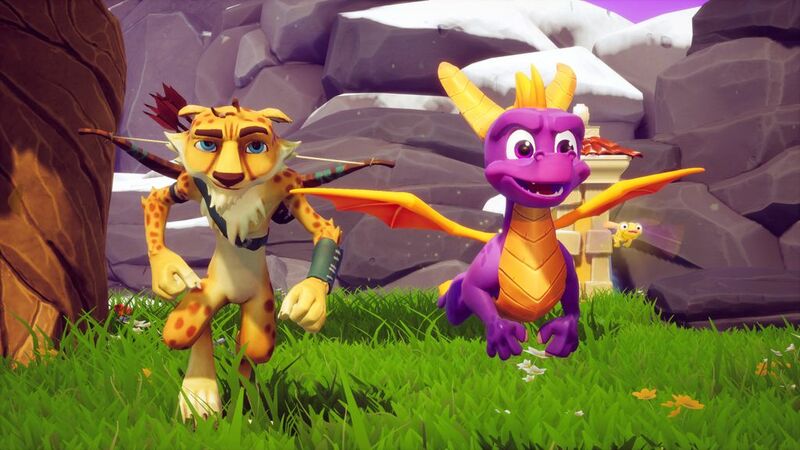 Sony had a hit on their hands with Crash, but wanted another one – and Insomniac Games gave them just that with the very first Spyro the Dragon. 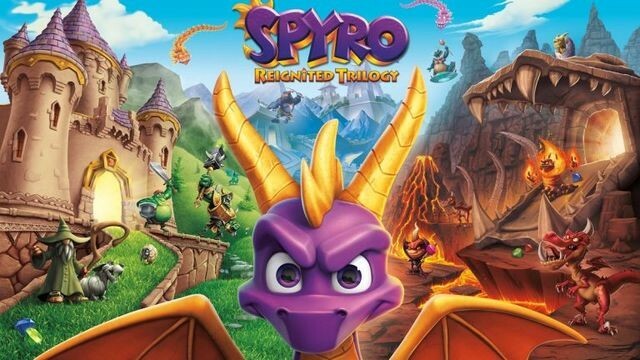 Much like the Crash N-Sane Trilogy, Spyro Reignited Trilogy showcases the PlayStation 1’s trilogy of games in a way that has never been done before. 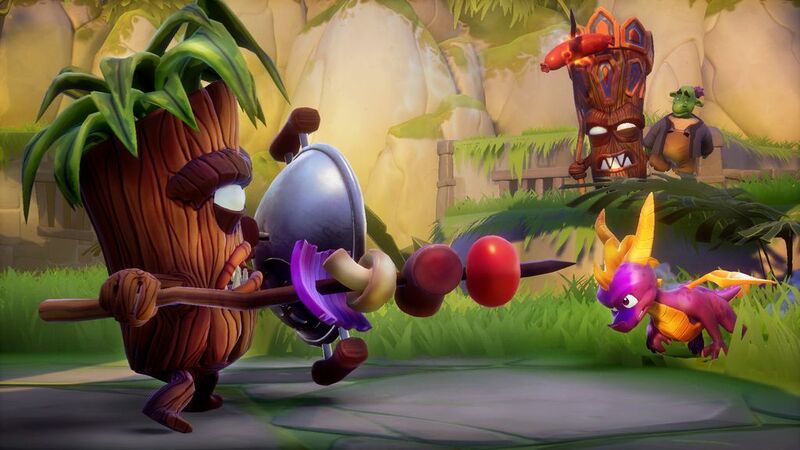 Developer Toys for Bob has rebuilt them from the ground up with modern-day graphics, and the result is truly remarkable. The PlayStation trilogy was renowned for not only delivering a mix of satisfying action with flames and close-range attacks, but also having vast worlds to explore and fairly beautiful ones at that. The environments had lush color schemes and all of the characters featured impressive-for-the-time lip syncing that has aged shockingly well given the limitations of the hardware. Now, the original trilogy has a chance to be exposed to a new generation of fans and in the best-possible way. 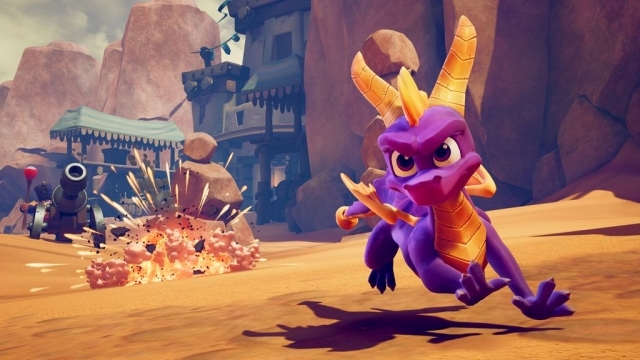 The Spyro games blended action with a collect-a-thon better than most in its heyday, but has the passage of time been kind to the series? The trilogy’s core formula of defeat enemies, find allies, find a bunch of things, and then find many more things alongside some hidden areas and exploration definitely has its pros and cons. 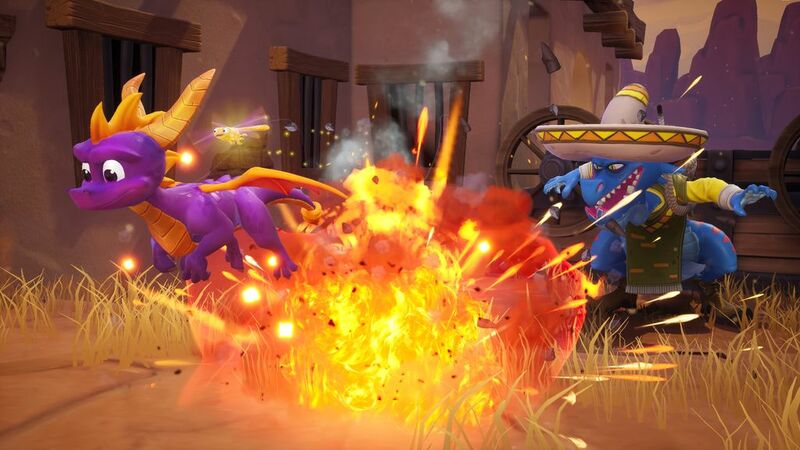 Spyro can charge and blast flames at enemies, which is a lot of fun in both instances. In the case of throwing fire at them, it feels as thrilling as any FPS or action game that has allowed the use of a flamethrower. It allows you to scorch a series of enemies either back to back or if you’re lucky, at the same time. The combat is quite limited, but satisfying. The key thing that hurts the trilogy with the benefit of hindsight is the lack of things to do. You find things, beat enemies up, and do it all over again in a new area. There are some bonus activities like ring-flying sections, but unlike games like Banjo-Kazooie or Donkey Kong 64 in the original trilogy’s era, there isn’t much variety here. Even though what’s here is good, there simply isn’t enough of it to make the gameplay itself deep enough to enjoy fully for one full game – let alone three. The concept does get mixed up a bit with each new game giving you new kinds of dragons to find throughout the world, but the formula is well-entrenched and isn’t deep enough to keep you hooked. 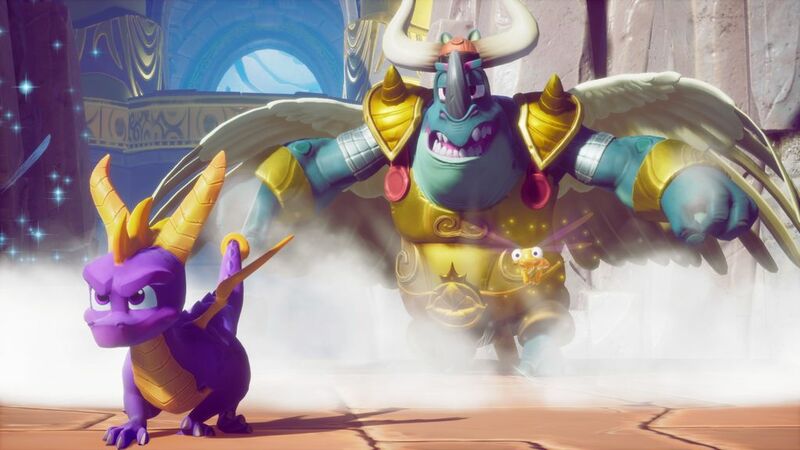 The original Spyro games aren’t bad now and this is the best way to play them, but time has exposed weaknesses in the core formula that do affect the overall package since that’s what’s being offered up. The platforming portions are quite good, but there aren’t many of them. Similarly, the puzzles are executed well – but there aren’t enough of them to make them feel like worthy challenges to the player. The worlds themselves are quite stunning though – and the emphasis on making every area look completely different remains intact from 20 years ago. Being dedicated to something like that then wasn’t something you could put on a box and sell copies, but showed a high level of attention to detail. Each game feels a bit different too. The first is more of a collect-a-thon, while the second blends in collecting with more activities to keep it interesting – like races. There aren’t a ton of variety in these either, but they are a more rewarding way to get gems instead of just running around large empty spaces like the first game. The third adds things like skateboard-riding sections to further speed up the races from running and gliding, which is nice, but doesn’t radically change things up. Beyond the graphical flourishes, the biggest changes made for quality of life improvements lie in the revamped camera and smoothed-over controls. Unlike the Crash trilogy, which may be a better value due to the sheer variety of what you get, Spyro Reignited improves upon some flaws of the original’s camera system and is a more enjoyable experience overall. The right stick now controls your camera instead of shoulder button movement, which is far more modern and makes this more approachable for newcomers. 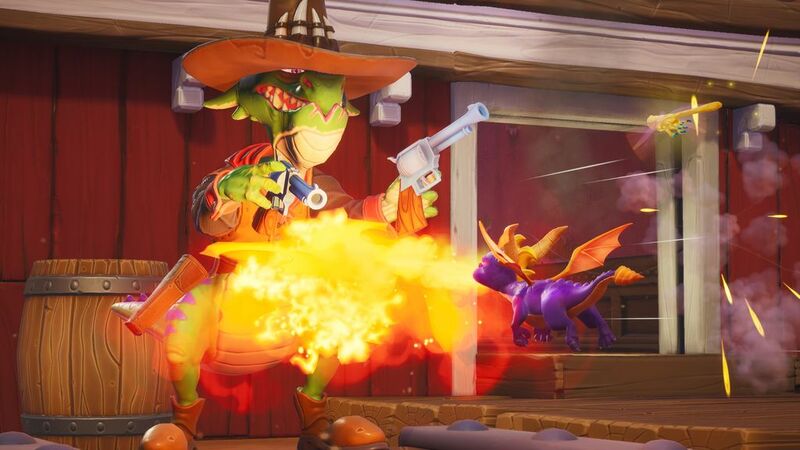 Controls have also been expanded to include trigger functionality for your flames, which may seem a bit odd – but does make those switching over from third-person shooters more comfortable and is more in line with future Insomniac games like Ratchet and Clank. 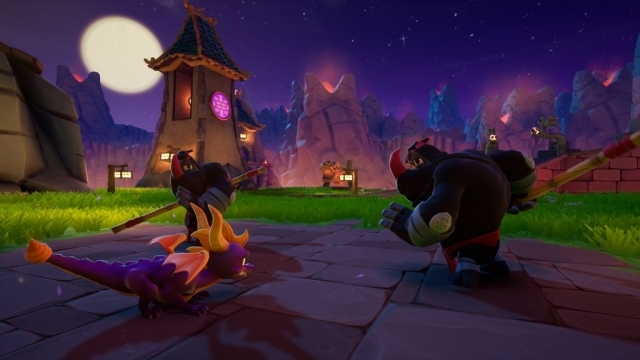 Visually, Reignited is a massive upgrade in most ways. Every visual asset from all three games has been rebuilt from the ground up – so textures have seen a massive uptick in quality. Evil characters go from having rounded faces to having intricate details like warts on their faces to make their characters stand out more now. Animations have also been improved tremendously, as have world details. Sky details are a bit hit or miss though, with the skies looking a lot better during the all-too-long interactive loading sections – but then the lush skies getting covered up in cinematics by new objects that obstruct your view. It’s strange to do a side by side comparison of a PS1 game to a modern incarnation of it and be more impressed by the skies on the older game, but that does happen a lot here. The increase in character detail and animation is a huge help though – and allows the impressive lip syncing from its time to look far better now. Beyond the lip syncing, the voice work has been redone and feels a bit more natural now. The recording quality is certainly appreciated, with the lines being easier to hear now than before. The wide variety of music on display in all of the games is nice too, but is much cheesier than I remember it and does feel rather samey after a while. The flame sound effects are fantastic though and each kind of enemy you fry makes a different sound for both that and your ram attack – so while there isn’t much variety in the core combat, at least things are mixed up a bit. 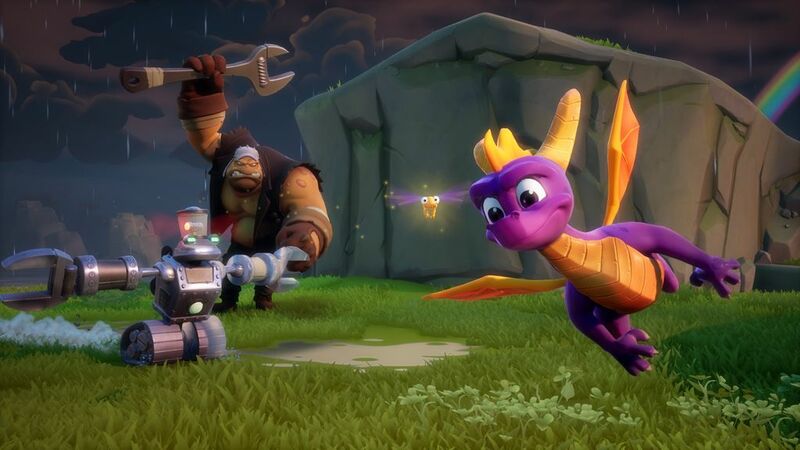 The Spyro Reignited Trilogy is a fantastic remake of some flawed games and with that comes a mixed bag of a recommendation. If you’re a series veteran and absolutely love collect-a-thons now as much as you did then, pick it up and you’ll have a lot of fun. If you’re new to the series and have access to the PS1 games via a PS1, PS2, or PS3 digitally, see if the formula is for you. As remakes go, this is a far more thorough one than even the Crash Bandicoot one and in that sense, it’s a better collection for PS1 classic fans – but the game themselves lack variety and feel a bit too similar to one another to recommend a full-price purchase right out of the gate. 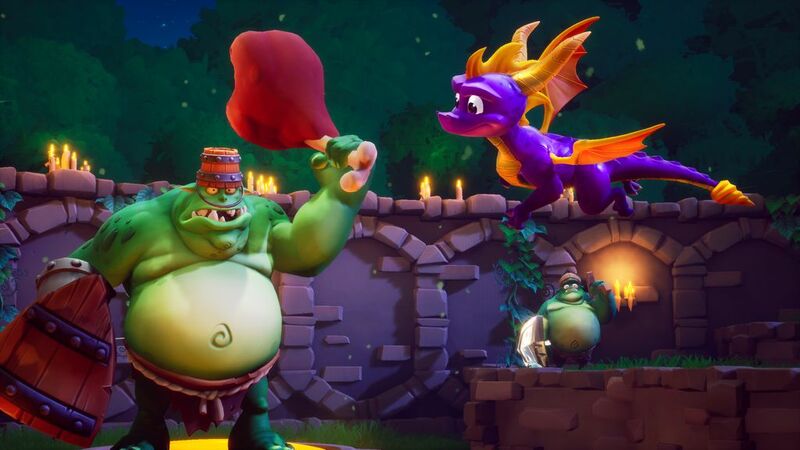 This review is based on a digital copy of Spyro Reignited Trilogy for the PlayStation 4 provided by Activision.